Our 2018 Summer Menu is out now! The Red Poppy Restaurant at Padstow RSL has launched it's new menu for Spring & Summer, serving up a mix of dishes that include seafood, pasta, steaks, salads and more. Drop in for new flavours, new tastes & a new experience. Details & bookings call 9773-1993. Our players from left are Simon, Connie, Gillian, David, Tom, Rodger, Thomas & Michael at the 2018 City V Country Table Tennis Competition. 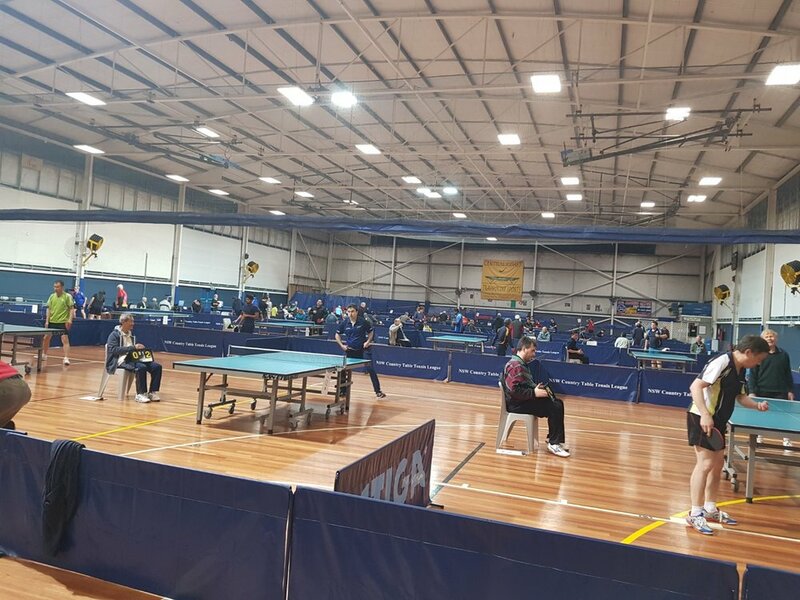 Padstow RSL is proud to announce that our Table Tennis Club this year participated in the annual city vs country championship over the weekend (01/09/2018), at Niagara Park Stadium on the Central Coast. Padstow RSL entered in 3 teams for 2018 and this year was our 4th consecutive year at the city vs country championship. The Padstow RSL Table Tennis Club plays every Thursday night; setup at 7:00pm for 7:30pm start. There is a $100 prize pool in “PADSTOW CASH” to the winners to spend anywhere in the club. Must be a member of the club to participate. Come and speak with any of the table tennis club members or email us at padstowrsltabletennis@gmail.com for further information. Thursday Night Table Tennis at Padstow RSL Club. Honouring Our Vietnam Veterans - Today marks the 52nd anniversary of The Battle of Long Tan also known as Vietnam Veterans Day The following has been posted as a point of reflection and a tribute to the courage and commitment of the 60,000 Australian personnel who served in Vietnam during Australia`s 10 year involvement there, 521 of whom were lost during service.The Battle of Long Tan was the first major conflict of the Vietnam War fought between Australian troops and forces loyal to North Vietnam. The battle occurred in the late afternoon of Sunday 18th August 1966 in a rubber plantation east of the Suoi Da Bang River, Phuoc Tuy Province , South Vietnam. 108 soldiers comprising D Company, 6th Battalion, and the Royal Australian Regiment were conducting a reconnaissance of the plantation when they became engaged in combat with a major enemy force that outnumbered them more than 20 to 1. Surrounded on all sides and under heavy fire, with torrential rain falling and fading light D Company held their ground for more than three hours until reinforcements arrived and the enemy withdrew. 18 Australians and 245 enemy troops lost their lives as a result of the battle.